Home » Autumn » Welcoming Autumn! September 22nd, 2:49 pm - Autumn has arrived! The days are noticeably shorter. The nights are cooler. On the first day of Autumn - the Autumnal Equinox - day and night are each about 12 hours long (with the actual time of equal day and night, in the Northern Hemisphere, occurring a few days after the Autumnal Equinox). The Sun crosses the celestial equator going southward; it rises exactly due east and sets exactly due west. Try not to feel sad because Summer is over... ;) Autumn is also a great time to entertain out of doors. Most bugs are gone, the weather is more agreeable, people are ready to relax a little, the impact of getting back to work/ school is already gone... So, take a long walk and enjoy the crunch of the leaves underfoot or take a drive and revel in the beauty of the rapidly turning leaves as they change from green to orange, yellow, red, and brown. The cascade of color is something that I really love! Happy Autumn, everbody!!! You have read this article Autumn with the title Welcoming Autumn!. 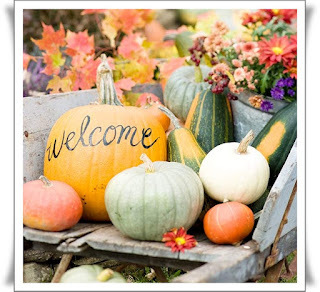 You can bookmark this page URL http://catolink4.blogspot.com/2012/09/welcoming-autumn.html. Thanks! No comment for "Welcoming Autumn!"